Split cowhide leather with keystone thumb and shirred wrist with leather binding. Split cowhide leather with keystone thumb and shirred wrist with leather binding. Split cowhide leather with keystone thumb and shirred wrist with leather binding. Tough unlined split leather. Keystone thumb and buckle, and strap fastener. Specially tanned for water resistance. Ideal for material handling, lumber applications, and all types of driving. Tough unlined split leather. Keystone thumb and buckle, and strap fastener. Specially tanned for water resistance. Ideal for material handling, lumber applications, and all types of driving. Durable suede leather in fashionable colors. Gunn-cut design with keystone thumb and shirred elastic back. Assorted Colors: Opal, Moonstone Blue, Topaz. Ideal for material handling, lumber applications, and all types of driving. 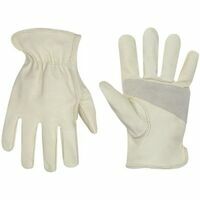 A premium grade leather driver glove with split leather palm patch which provides added durability; elastic back of wrist for a secure, comfortable fit; keystone thumb provides a comfortable fit; "ThoughThread" double stitching provides extra durability; use for carpentry, equipment operation, hand and power tools. 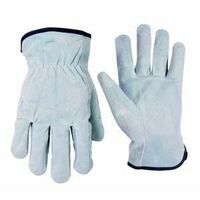 A premium grade leather driver glove with split leather palm patch which provides added durability; elastic back of wrist for a secure, comfortable fit; keystone thumb provides a comfortable fit; "ThoughThread" double stitching provides extra durability; use for carpentry, equipment operation, hand and power tools. Unlined grain pigskin. Gunn-cut design with keystone thumb and shirred elastic back. Washable. Ideal for material handling, lumber applications, and all types of driving. Top-grade, unlined grain leather. Gunn-cut design, shirred elastic back, and keystone thumb. Ideal for material handling, lumber applications, and all types of driving. Top-grade, unlined grain leather. Gunn-cut design, shirred elastic back, and keystone thumb. Ideal for material handling, lumber applications, and all types of driving. Top-grade, unlined grain leather. Gunn-cut design, shirred elastic back, and keystone thumb. Ideal for material handling, lumber applications, and all types of driving. Unlined grain pigskin. Gunn-cut design with keystone thumb and shirred elastic back. Washable. Ideal for material handling, lumber applications, and all types of driving. Unlined grain pigskin. Gunn-cut design with keystone thumb and shirred elastic back. Washable. Ideal for material handling, lumber applications, and all types of driving. Premium top grain cowhide with keystone thumb with palm patch and hook and loop wrist closure. Premium top grain cowhide with keystone thumb with palm patch and hook and loop wrist closure. Premium top grain cowhide with keystone thumb with palm patch and hook and loop wrist closure. Regular unlined grain leather. Gunn-cut design with keystone thumb and adjustable back strap with buckle and self hemmed open cuff. Ideal for material handling, lumber applications, and all types of driving. Durable premium unlined goatskin, dries soft after repeated wetting. Shirred elastic back, self-hemmed open cuff, keystone thumb for comfort. Gunn-cut design. Washable. Ideal for material handling, lumber applications, and all types of driving. Keystone thumb. Shirred elastic back. 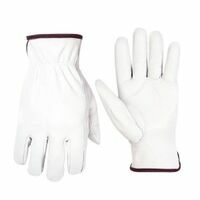 Premium top grain goatskin keystone thumb with palm patch and shirred wrist with leather binding. 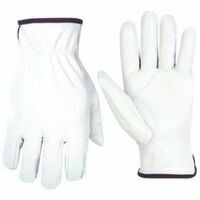 Premium top grain goatskin keystone thumb with palm patch and shirred wrist with leather binding. 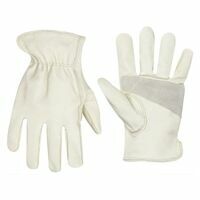 Premium top grain goatskin keystone thumb with palm patch and shirred wrist with leather binding. Keystone thumb. Shirred elastic back. Top-grade, unlined grain leather. Gunn-cut design, shirred elastic back, and keystone thumb. Ideal for material handling, lumber applications, and all types of driving. Premium unlined grain leather. Gunn-cut design with keystone thumb and adjustable back strap with buckle and self hemmed open cuff. Premium unlined grain leather. Gunn-cut design with keystone thumb and adjustable back strap with buckle and self hemmed open cuff. Premium unlined grain leather. Gunn-cut design with keystone thumb and adjustable back strap with buckle and self hemmed open cuff. Premium top grain deerskin with shirred wrist with leather binding and keystone thumb. Premium top grain deerskin with shirred wrist with leather binding and keystone thumb. Premium top grain deerskin with shirred wrist with leather binding and keystone thumb. Unlined premium grain deerskin driver with keystone thumb, shirred elastic back, and self hemmed open cuff. Dries soft after repeated wettings. Ideal for material handling, lumber applications, and all types of driving. Unlined premium grain deerskin driver with keystone thumb, shirred elastic back, and self hemmed open cuff. Dries soft after repeated wettings. Ideal for material handling, lumber applications, and all types of driving. Unlined premium grain deerskin driver with keystone thumb, shirred elastic back, and self hemmed open cuff. Dries soft after repeated wettings. Ideal for material handling, lumber applications, and all types of driving. Unlined premium grain deerskin driver with keystone thumb, shirred elastic back, and self hemmed open cuff. Dries soft after repeated wettings. Ideal for material handling, lumber applications, and all types of driving.